Leanne Spencer is a burn out coach who developed The Rise Method, a powerful and proven methodology to help stressed and burned out professionals recover and regain their passion for life. 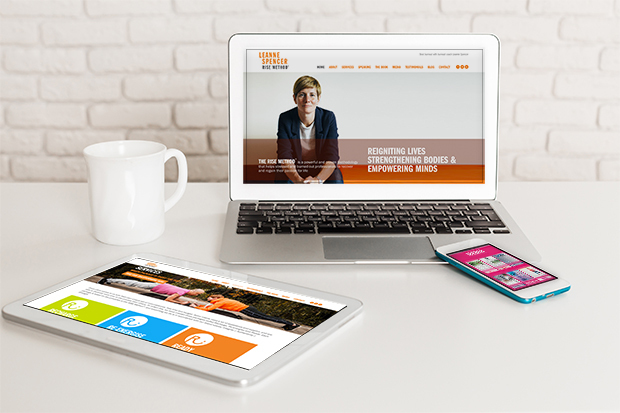 Hartley & Soul was appointed to create the brand and website for Leanne. The design needed to reflect the core values of integrity, authenticity and strength with a crisp, clear and minimal design.